The fifth edition of Jaipur BookMark takes you through the journey and metamorphosis of a book – from stimulating discussions with aspiring writers, literary agents and publishers to book cover designers, graphic artists, and audio and digital platform providers. Jaipur BookMark opens on 24th January at the Durbar Hall in Diggi Palace and is to be held between 24th January and 28th Januaryat Diggi Palace. Day 1 brings you four crucial sessions. ‘For the Love of Books’ with Akshaya Rautaray, Satabdi Mishra, Tilak Sharma, Nikko Odiseos, Shruti Sharma, moderated by Urvashi Butalia, celebrates unusual booksellers and curators who breathe new life into promoting and preserving books with innovative publishing and reading ideas like leaving books on the metro as a treasure hunt, walking book fairs and bringing out books on interesting practices such as Tibetan Buddhist traditions. While ‘Books that Speak: The future of audio’ discusses the potential of audio books, ‘Resurgence of Print’ brings back the printed page to centre-stage, and asks whether readers still take refuge in print. ‘English Language Publishing: The Indian Market’ will discuss the position of the Indian publishing market in the global landscape. Day 2 (January 25) will bring together a roundtable discussion on the ‘Publishing Process and Policy Perspectives’ with eminent publishers such as Ananth Padmanabhan, Manas Saikia, Robert Watkins, Urvashi Butalia, Renu Kaul, Ian de Toffoli, Bijal Vachharajani, Rita Choudhary, K. Sreenivas Rao and Ratnesh Jha, in conversation with Atiya Zaidi. ‘Bestselling: The Indian way’ speaks of the how and why of Indian bestsellers; ‘Educational Publishing: Towards an expanding knowledge base’ discusses the growing concerns in the domain of academic publishing; and ‘Enhancing the Book’ will introduce us to new and innovative dimensions of the book in the digital age. The day will end with a session celebrating book covers. On Day 3 (January 26), the ‘Vitaran: Distribution and outreach in Indian publishing’ discussion will talk about the impact and distribution of books in Indian languages. This will be followed by a fascinating session on ‘The Role of Art in the Book Industry’ post lunch. The session on ‘Digital Narratives’ boasts of a celebrated panel including Anurag Kashyap, Karan Anshuman, Anish Chandy, Pankaj Dubey, Gaurav Solanki, Arpita Das, Anu Singh Choudhary, Kathy Reichs, Akshaye Rathi, Shailesh Bharatwasi and Sameer Nair in conversation with Vani Tripathi Tikoo and will be held on Day 4 (January 27). The panel will discuss the latest trends in digital media, and the potential of web streaming platforms in the new age to harness the power of great stories. 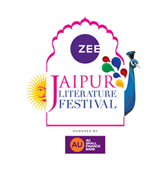 Jaipur BookMark will host the hugely successful Festival Directors’ Roundtable on Day 4 (January 27) bringing together over 20 of the world’s most successful festival directors who will discuss their many challenges; announcements of three major industry awards: the Vani Foundation Distinguished Translator Award, the Romain Rolland Prize for translations from French to Indian languages, and the Oxford Book Cover Prize will also take place at JBM.